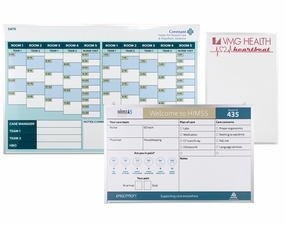 Custom printed hospital dry erase boards with a magnetic dry erase writing surface. 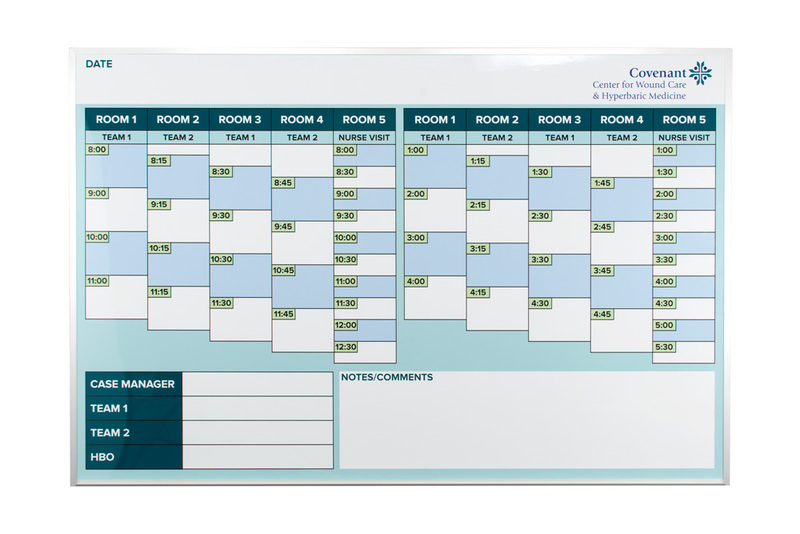 Finally a custom printed dry erase board that holds up to the frequent use of a busy hospital setting. 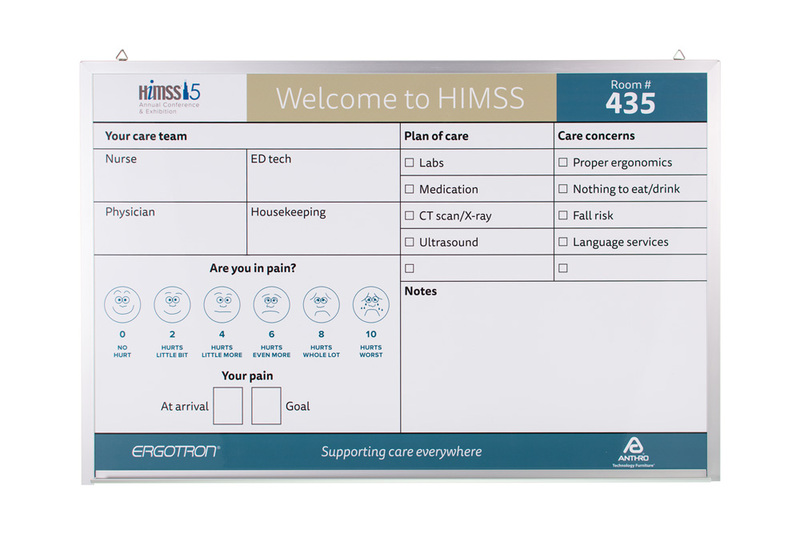 OptiMA's Opti-print™ printed hospital boards are printed in full color with crisp, clean lettering and images and they can be cleaned with Isopropyl Alcohol which normally destroys other brands. 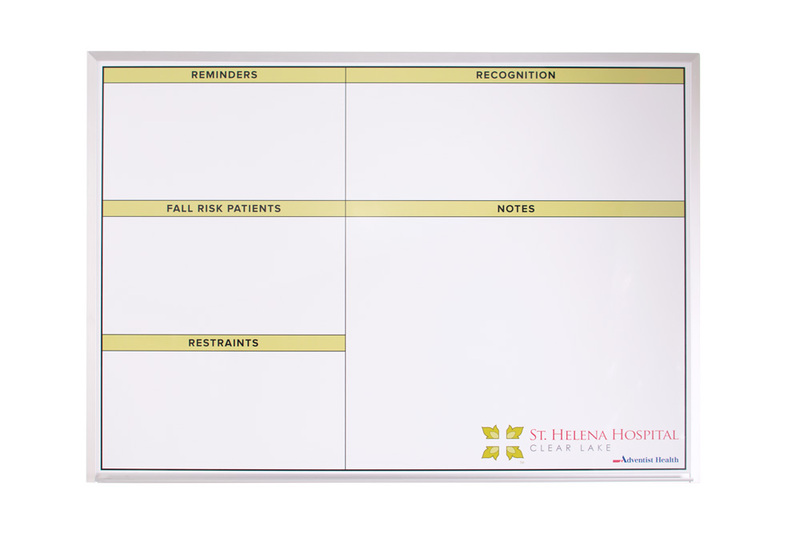 Now you can safely disinfect your printed whiteboards in the patient's room, an operating room and actually anywhere you need to, and know with certainty that your board will function just as good as it did before. Isopropyl Alcohol normally destroys a lesser quality writing surface. The more you clean the board, the less it comes clean and when you erase it there is always a ghost of previously written messages and ugly smudges and smears. 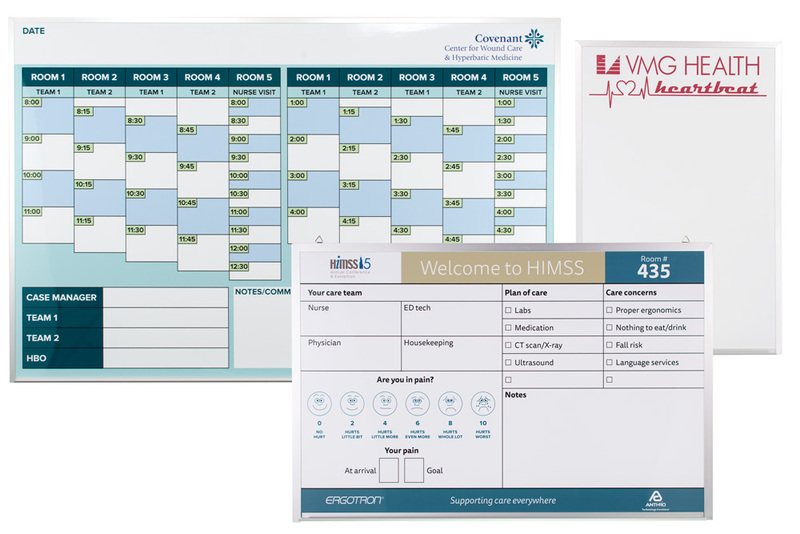 The Opti-print™ magnetic custom printed hospital boards are designed to be cleaned with Isopropyl so clean away. The writing surface will wipe clean every time and last for years to come with proper care and minimal maintenance. 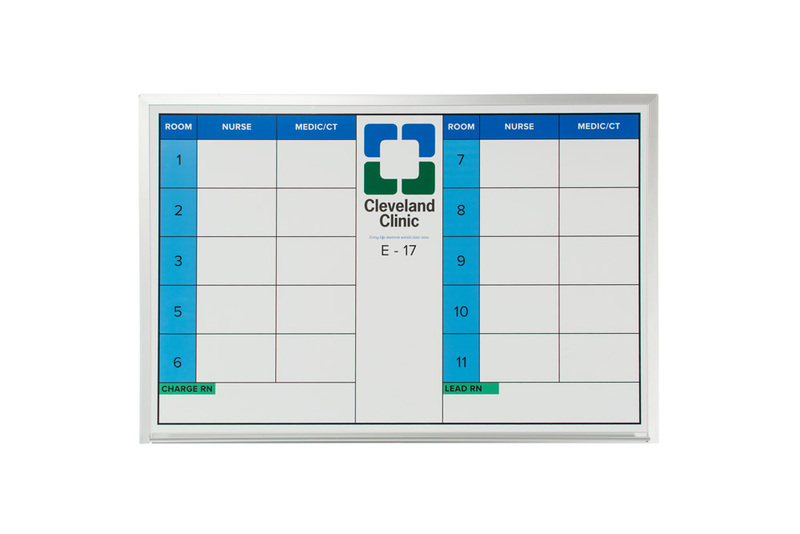 These OptiMA hospital dry erase boards are also magnetic receptive. That means that you can use all kinds of magnets and magnetic accessories which is really helpful on scheduling boards where the same information is written over and over again. Now you can write the information onto a colored magnet and simply move it on the board where ever it needs to go. Worried about designing a custom printed board? Don't be. We promise, this isn't brain surgery! Our completely trained and experienced staff can and will help you every step of the way. They'll make sure that your experience is as easy as it can be and you'll love the end results. 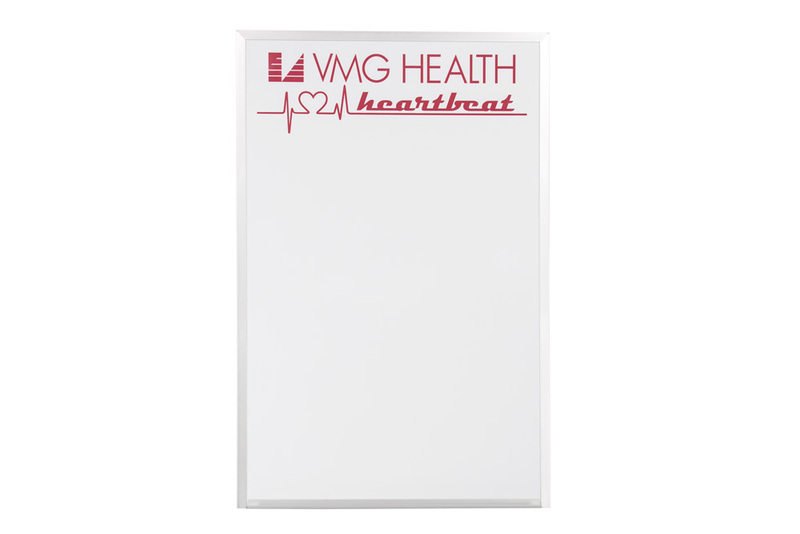 If you don't think that you'll be using magnets then you might want to be looking at our non-magnetic line of economy hospital dry erase boards instead. They have the exact same quality writing surface but they're not magnetic and they're less expensive as well. Magnetic receptive dry erase surface means that you can use magnetic accessories and write on the boards with dry erase markers. Satin anodized aluminum trim on three sides. Full-length aluminum marker tray on every unit. Installation hardware ships with each board. Resist ghosting and comes clean no matter how long you leave the writing on. 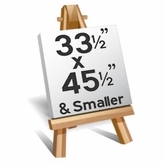 One-year limited warranty against any manufacturing defects on all Opti-Print boards. We create a PDF proof for you to sign off on before creating any boards. Finished boards will take about 7-10 working days after we receive your signed and accepted proof back. Custom sizes available. Extends lead-time.